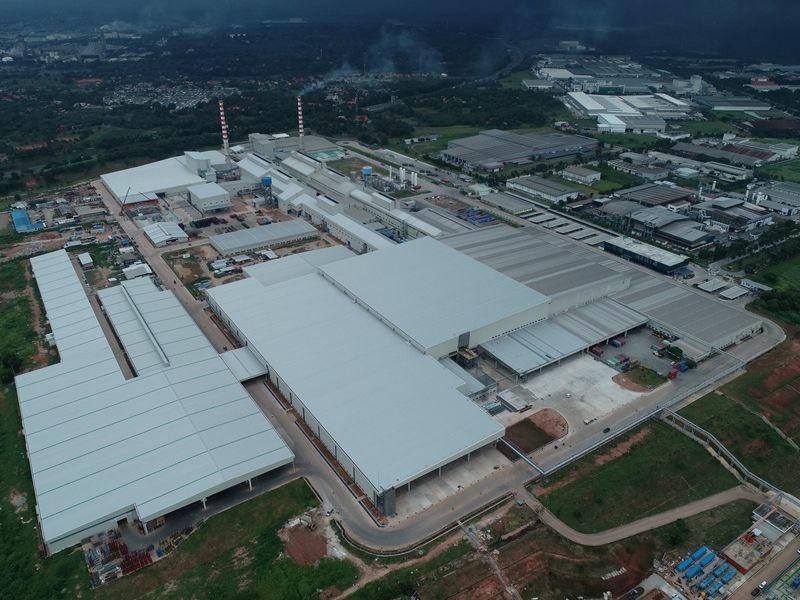 AGC Inc. announced on April 15 that the AGC group's Indonesian unit, PT Asahimas Flat Glass Tbk (AMG) (*1), began operating a mirror line at its Cikampek plant in the first quarter 2019 following the launch of its new float furnace and mass production on its new magnetron sputtering coater in the third quarter of 2018, marking another milestone in AGC's glass footprints in Asia. With the integrated, state-of-the-art float glass furnace, magnetron coating line and mirror line, AMG offers a single source for a wide variety of specialty glass products and solutions catering to different market needs across the Asia-Pacific region. The new magnetron coater with cutting-edge AGC-Interpane Europe technology is capable of delivering excellent products of solar control, high performance and spectrally selective glass in jumbo size up to 6 meters. A series of high-performance coatings, T-Sunlux and Stopray targeted at residential and commercial segments for Asia-Pacific markets is launched progressively. T-Sunlux, a temperable magnetron-coated glass, has a durable coating that is able to go through tempering without compromising on its appearance. The T-Sunlux coating presents good performance to block heat when there is excessive solar heat. With the ability to be used in both annealed and tempered versions, with a long shelf life, it provides glass processors with the flexibility to cater to project needs by just stocking one single product. Stopray, high-performance magnetron-coated glass, gives excellent selectivity with a neutral appearance. It offers improved balance between visible light transmittance, solar control and enhanced U-values, thereby delivering maximum energy savings that meet or exceed energy code requirements. Always used in double or triple glazing, its performance is optimized and suits tropical and cold climates. The new mirror line is a big step for AMG as it enhances its product lineup with the launch of Mirox MNGE (Mirox New Generation Ecological Mirrors), manufactured with patented AGC Europe technology and the same optimum levels of quality and service. Mirox MNGE stands out for its copper-free metal coating, very low-level lead paints and its high resistance to corrosion. With the ecology of Mirox MNGE, end users are assurred of low levels of Volatile Organic Compounds (VOCs)(*2) and formaldehyde emissions from the mirror. With Mirox MNGE being launched with product warranty and attaining Singapore Green Building Product (SGBP) certification, it presents end users with greater benefits (i.e. enhance indoor air quality, improve their health and well-being). Customers in the Asia-Pacific region can look forward to a comprehensive range of both pyrolytic and magnetron-coated products and ecological interior glass, allowing architects and glass customers to combine creativity, aesthetics and facade technology, while fulfilling today's energy regulations and green building trends. (*1) PT Asahimas Flat Glass Tbk (AMG) is part of the global AGC group. AMG was established as a joint venture in 1973 between Asahi Glass Co., Ltd. (Japanese glass manufacturer) and PT Rodamas (an Indonesian distributor of glass and related consumer goods). (*2) VOCs and formaldehyde are some of the sources of indoor air pollutants that come from the chemicals released by buildings and products (e.g. paints, lacquers, silicon, glue, paint strippers, cleaning materials and pesticides) used in them. With high concentration of VOCs, it can cause short- to long-term adverse health effects.